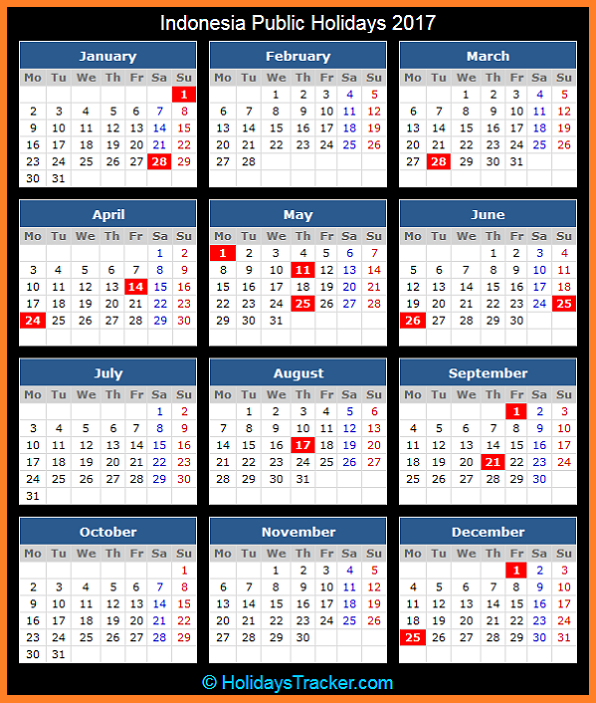 Check Public Holidays in Indonesia for the calendar year 2017. Holidays have been set in Government Regulation No. 24 of 1976 and Presidential Decree No. 24 of 1976 and Presidential Decree No. 3 of 1983. 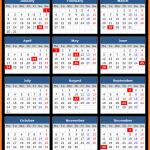 Check holidays dates in 2017 for New Year’s Day, Chinese New Year 2568 Kongzili, Nyepi Saka New Year, Isra Mi’raj Prophet Muhammad, International Labour Day, Vesak Day 2561, Elevation of Jesus Christ and Eid-al-Fitr.